Sithney Church is a grade 1 listed building. It is a 15th Century Church built on a Norman foundation. Work on the rebuilding of the floor at St Sithney Church halted on discovery of the skeletal remains of people once buried beneath the floor. Satisfied that the remains were neither recent nor suspicious the Coroner and Police cleared the site for continuation of the exploration of the skeletons. It appears that the bones were left in situ after a Victorian restoration of the church. 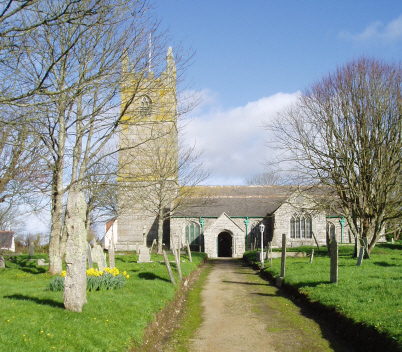 The Parish Church Council of St Sithney Church will hold a short viewing session when members of the public will be able to get a limited view of part of the current dig on Thursday 30th August from 14.00 to 16.00.